The high-profile attorney joins other celebs who have donated and spoken out in support of the students. High-profile human rights attorney Amal Clooney says she's found inspiration from the teen survivors of the Marjory Stoneman Douglas High School shooting in Parkland, Florida that killed 17 students and faculty members. “I am just blown away by these students. I think they are doing an amazing job turning a tragedy into advocacy,” she said on Friday while speaking at the 2018 Watermark Conference for Women in San Jose, Calif.
“I'm in awe of how courageous they are and how effective they are," Clooney said, referring to the student survivors of the shooting who are mobilizing to increase gun control. "I would have never have had the presence of mind or the courage at 16 years old, let alone having just gone through what they have, to be able to stand face to face with the president, a senator, the NRA, and answer these tough questions,” she added. 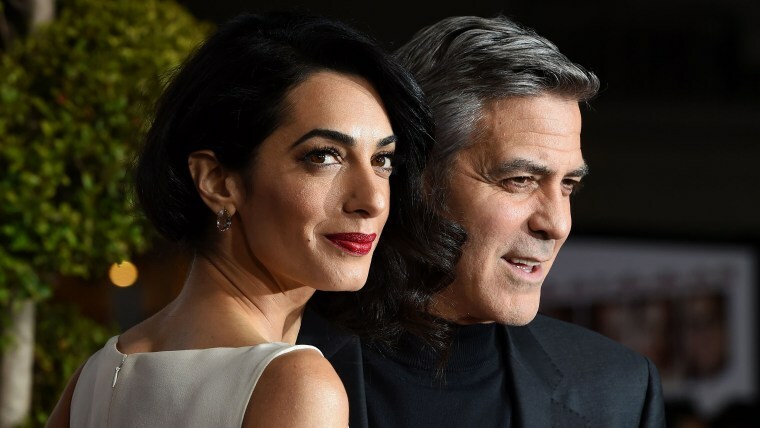 Alongside her husband, actor George Clooney, the human rights lawyer donated $500,000 in the name of her twins, Alexander and Ella, to the upcoming March for Our Lives event. The march, organized by Everytown for Gun Safety and a group of five survivors, will take place in Washington, D.C., on March 24. Following the power couple’s lead, Oprah Winfrey matched the donation, pledging an additional $500,000 to the event. “These inspiring young people remind me of the Freedom Riders of the ‘60s who also said we’ve had ENOUGH and voices will be heard,” Winfrey wrote on Twitter. Director Steven Spielberg and wife Kate Capshaw made a similar donation, according to Deadline, among others. Looking for ways to help? You don’t have to be a celebrity to support a survivor’s college fund or contribute to ongoing medical bills. Here are seven ways you can make a difference.